With vitamin C, a natural winter defence. We blend Rowse Manuka Honey 5+ with Clear Honey and vitamin C to create Rowse Supahoney?, the perfect Natural Winter Defence. It contains Vitamin C which helps support the normal function of the immune system and is made with 100% Pure & Natural honey. 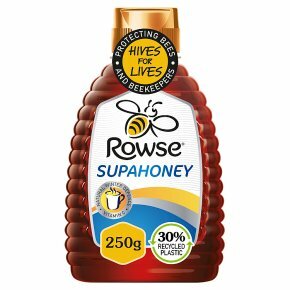 Rowse Supahoney? Original has a medium-warm amber colour, with rich earthy flavour and notes of sweet liquorice. Simply stir a tablespoonful of Rowse Supahoney? Original into a cup of hot water for a warming drink.